Most Orem folks don’t often think of a tooth as a body part that fluctuates in strength. Our teeth seem to have a steady hardness and dependably grind food whenever we need them. However, teeth are dynamic organisms with chemical processes that occur continually. At Hammond Aesthetic & General Dentistry, we are noticing an increase in cases of serious acid erosion. It is apparent that the typical Orem diet is becoming more acidic. Now let’s talk about drinks. You probably already know that soda pop and wine are not good for your teeth. 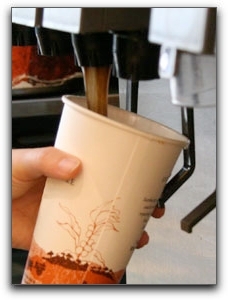 Orem teens that sip soda all day can have acid erosion while their young teeth should be at their strongest. In addition to soda, energy drinks are very popular in Utah and Orem cosmetic dentists are noticing the effects on their dental patients’ tooth enamel. If your teeth have become more sensitive in general, or in response to hot or cold foods or beverages, you may have acid erosion. 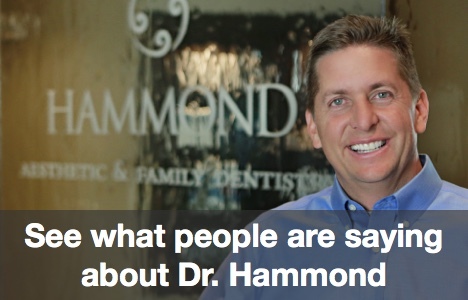 To schedule an examination with Dr. Chris Hammond at Hammond Aesthetic & General Dentistry, call 801-374-0070 today. We are a full-service cosmetic dental office with hundreds of satisfied clients in Provo and Orem We are located at 3575 North 100 East, Suite 200 in Provo. We are working to raise awareness of the oral health dangers of acid erosion. We hope you have benefited from this Hammond Aesthetic & General Dentistry blog article and look forward to your visit. We also offer cosmetic dentistry and sedation dentistry services.